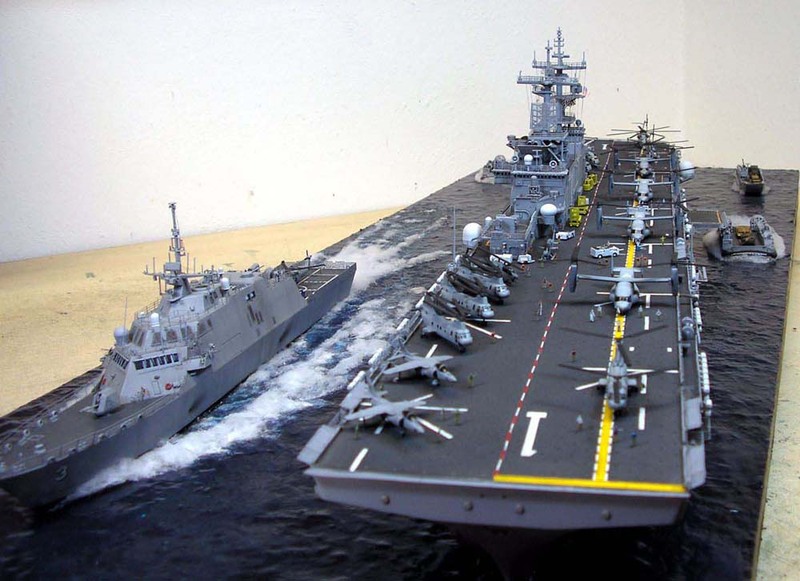 I was requested by a collector to build the USS Wasp and the USS Fort Worth in a diorama. The challenge was the small size of the proposed base. However, the quality of the two models were so nice so the whole building turned up to be very exciting. I did not use any detail set as the kits offers sufficient PE set with all the necessary parts. I used also Eduards PE figures and Uschi Van de Rosten rigging material which always makes the challenging work really enjoyable! The models were painted using Vallejo acrylics.